The Rebel Sweetheart. : Seoul Searching | Garosu-gil, Sinsa-dong + SkinFood Concept Store. Seoul Searching | Garosu-gil, Sinsa-dong + SkinFood Concept Store. Seoul boasts of a plethora of 'garosu-gils' or 'tree-lined streets', which make perfect backdrops for Instagram photos. There is, however, one Garosu-gil that has become increasingly popular over the years, with its splendid scenery and trendy atmosphere. I'm talking about the Garosu-gil Road in Sinsa-dong, located south of the Han River in the upscale Gangnam District. 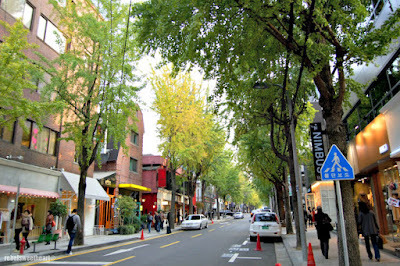 A beautiful promenade in the heart of Seoul, Garosu-gil runs from Sinsa Station to Hyeondae High School. The whole stretch is less than a kilometer and is adorned with lovely gingko trees, making it a popular shopping destination in the spring and fall. Lovely gingko trees in Garosu-gil. 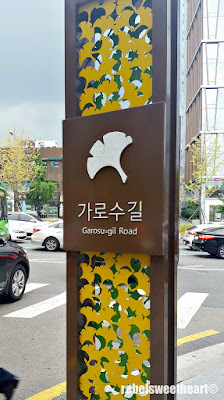 And with my Facebook feed flooded with photos of Garosu-gil, inviting people to come and visit this picturesque district, my curiosity was naturally piqued. 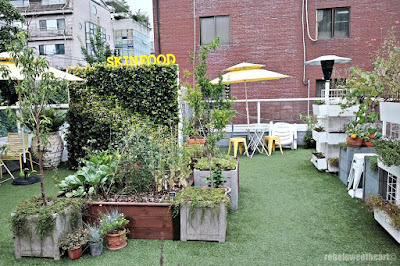 I made it a point to include this place in my itinerary last spring mainly for two reasons: 1) I wanted to stay away from the touristy crowd in other shopping districts (think Myeongdong), 2) and I wanted to see and experience the Skinfood Concept Store. The marker near Sinsa Station. 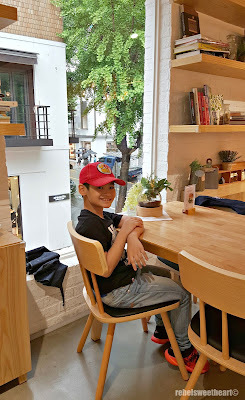 More of our trip to Garosu-gil after the jump! 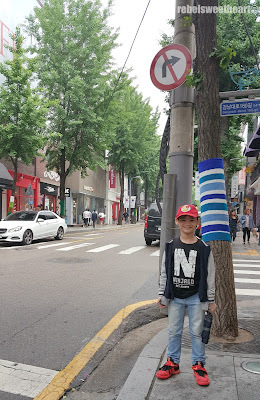 After our tour of Jongmyo Shrine, Yue and I hied off to Sinsa-dong. 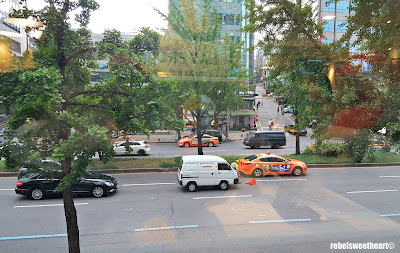 The ride from Jongno 3(sam)-ga to Sinsa Station took no less than 15 minutes, with no transfers whatsoever since both stations run on the the same subway line (Line 3/Orange Line). The view from the second floor of McDonald's in Sinsa-dong. 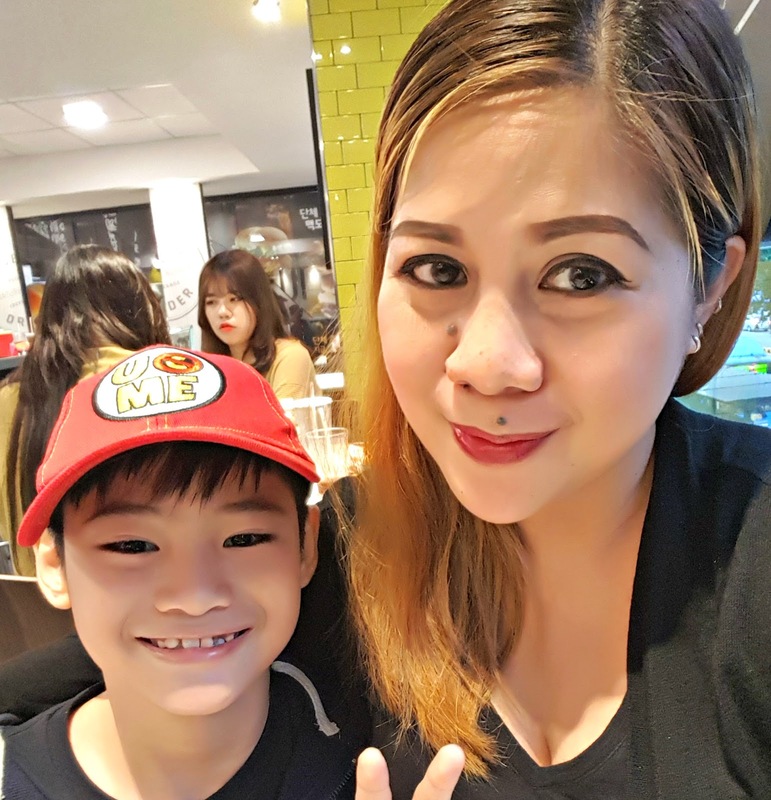 However, we were forced to take a pit stop at the McDonald's in Sinsa-dong as rain started to pour as soon as we exited the subway. Waffle fries. They're more like potato chips, though. 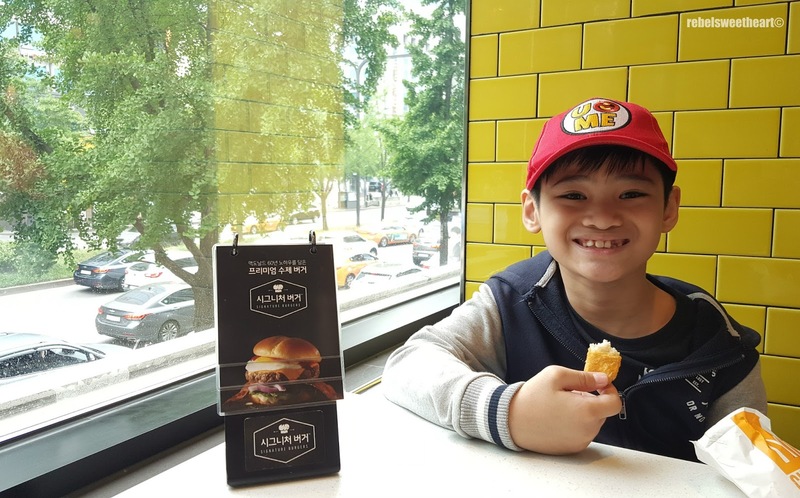 Thankfully, this McDonald's branch offers free wifi (like most McDonald's stores in Korea), which allowed us to stream videos and keep Yue preoccupied as we waited for the rain to stop. Enjoying his all-time favorite McNuggets. Three packs of McNuggets and two servings of Waffle Fries later, the rain simmered down to a drizzle and we finally made our way to Garosu-gil Road with an umbrella in tow. Yes, I keep tabs on the weather in Seoul as it gets pretty erratic in the spring. 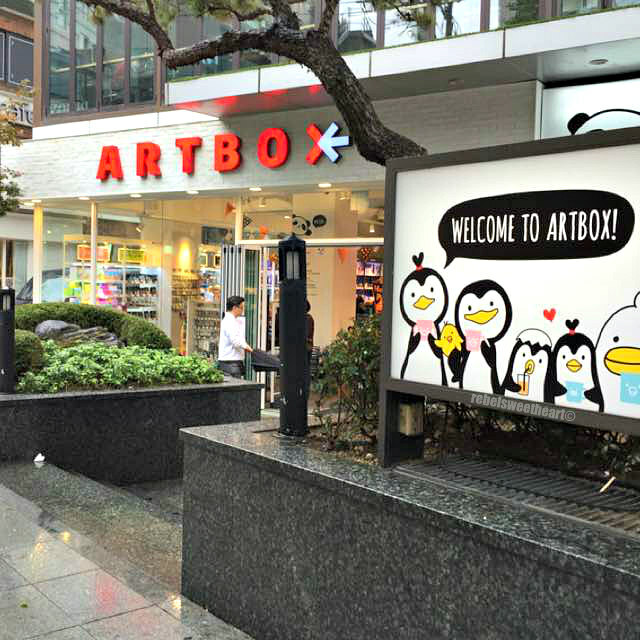 Artbox in Garosu-gil Road, Sinsa-dong. 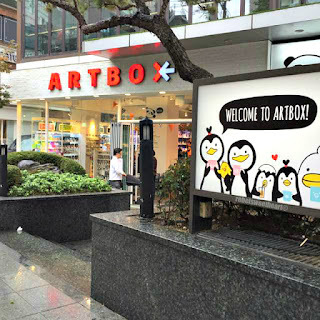 The ArtBox store located a few meters away from the Garosu-gil Road marker was the first thing that caught my eye. One thing I have learned from all this traveling to Korea is that there's bound to be an ArtBox store in every shopping district in Seoul, and Sinsa-dong is no exception. covers. On rainy days, you'll see this device right next to the entrance of just about every store in Seoul. We entered the store, of course, but not without using the 'umbrella condom' aka disposable umbrella covers. They're plastic covers used for storing your umbrellas so they don't drip and get things wet as you wander around the store. 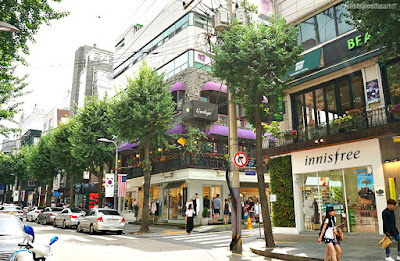 The main street of Garosu-gil. 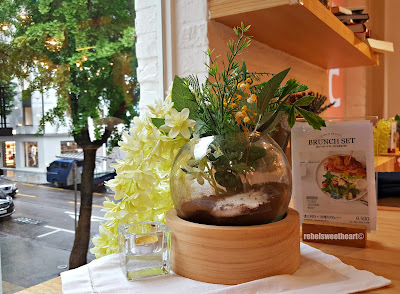 After a few minutes of window shopping at ArtBox (I tried my best to resist the temptation of all those cute and kitschy stationery), Yue and I continued strolling the streets of Garosu-gil, admiring the view as we went along. 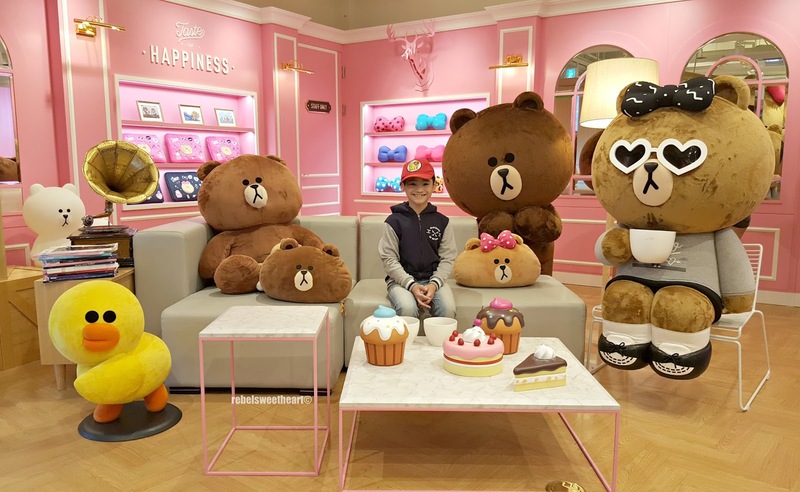 Inside the Line Friends Store at Garosu-gil. 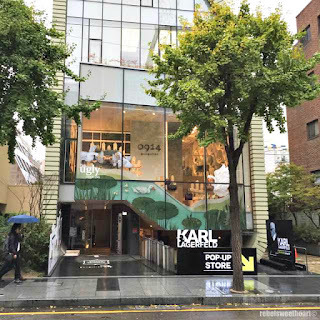 With all the well-decorated shop fronts, quirky pop-up stores, and aesthetically-pleasing coffee shops, it's no surprise that Garosu-gil earned the moniker of 'artists' street'. Almost everything in this area is picture-worthy! 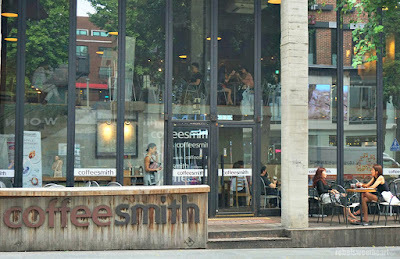 One of the more popular coffee chains in Garosu-gil, Coffeesmith. A few more minutes of walking and we finally arrived at our destination, the SkinFood Concept Store. 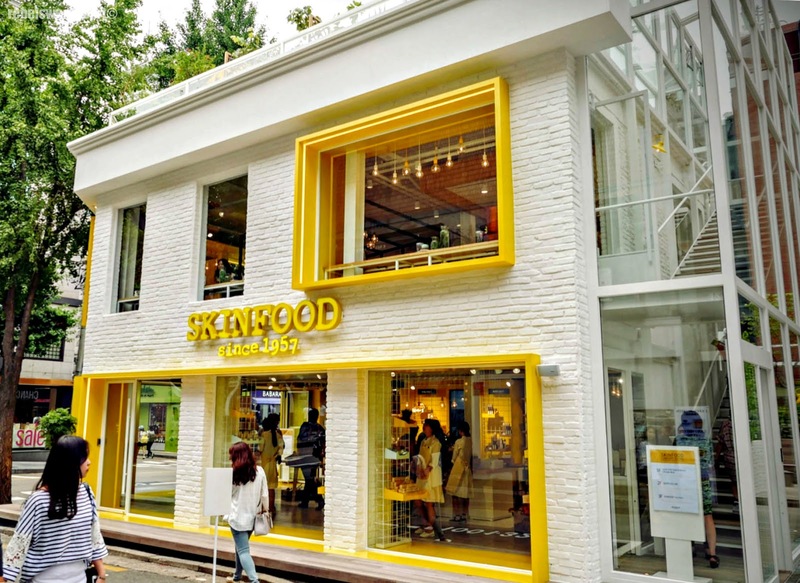 The building is definitely an eye-catcher as it bears the brand's signature color, yellow. 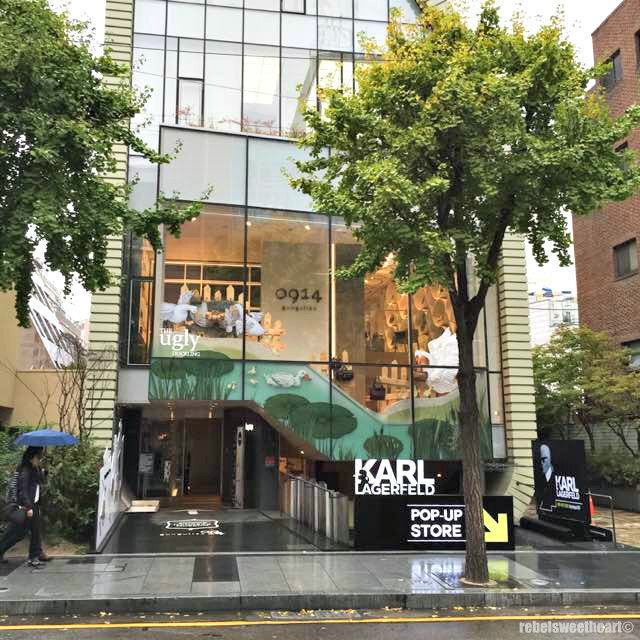 The first floor is the store itself, while the third floor is an outdoor garden and deck. We headed straight to the second floor, where the Cafe is located. The patio/garden on the third floor. 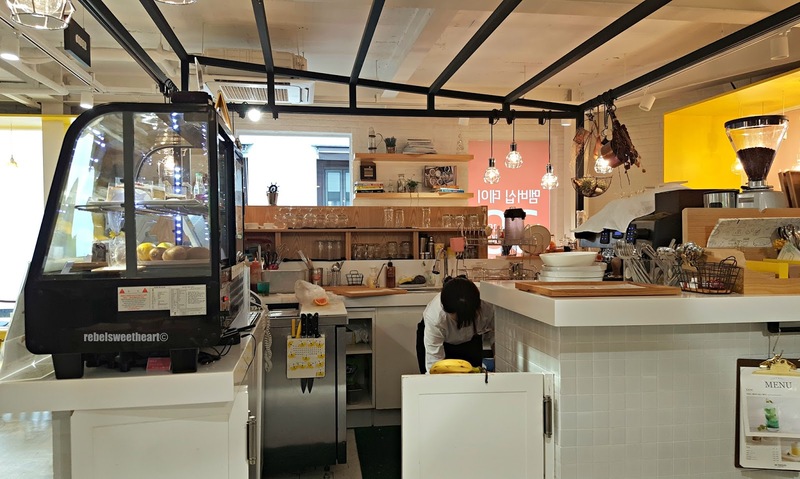 The cafe is as charming as it could be, with its cozy interior and vibrant yet homey atmosphere. 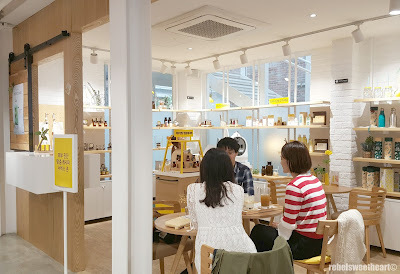 There's a couch located in one corner of the room, as well as tables, chairs, and counter seats, the coffee counter smack dab in the middle, and a mini shop where you can find SkinFood items on display and have your skin analyzed for you to know which SkinFood products will suit you best. Mini shop on one corner. The place was quite packed when we came, and I reckon it's because of the downpour, which started again as soon as we arrived. 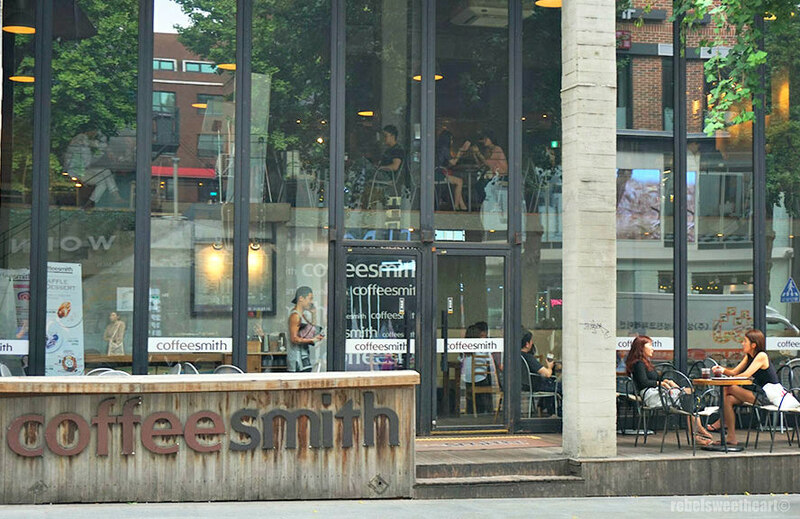 We managed to snag a seat by the window, allowing me to enjoy the view (aka people watch) as I sipped my coffee. Yue, on the other hand, flipped through the pages of the books displayed on the shelf right beside our table. They were written mostly in Hangul, though. The cafe's menu features salads, sandwiches, cakes, and pastries. Beverage options include coffee, tea, smoothies, and fruit ades. 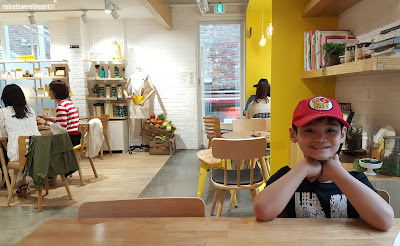 I ordered my usual Caramel Macchiato (4500 won), while Yue had a Grapefruit Ade (6500 won). We also had a Pastry Doughnut (5500 won), with a serving big enough for sharing. 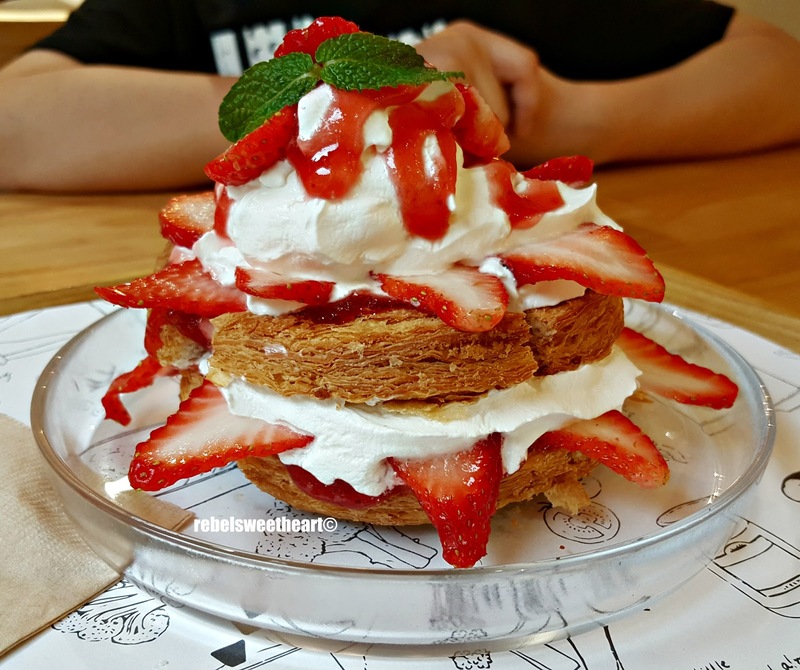 A bit pricey (our tab was 16500 won, around Php 800 or $15), yes, but the Pastry Doughnut was so good, it was definitely worth the price - not to mention the trouble of commuting, with the downpour and all. Caramel Macchiato + Pastry Doughnut. 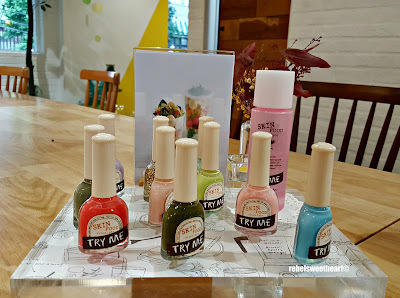 Another interesting feature of this cafe are the cosmetics. From nail polishes to hand creams, blushes and lip tints, you'll find testers all over the cafe, allowing you to try the products as you sit down and chat with your companions. 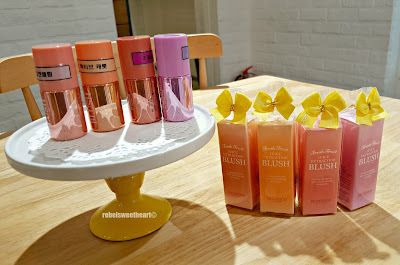 Even the restroom has soaps, mists, and balms, which you can use for touch-ups! Another Instagram-worthy corner in this cafe. 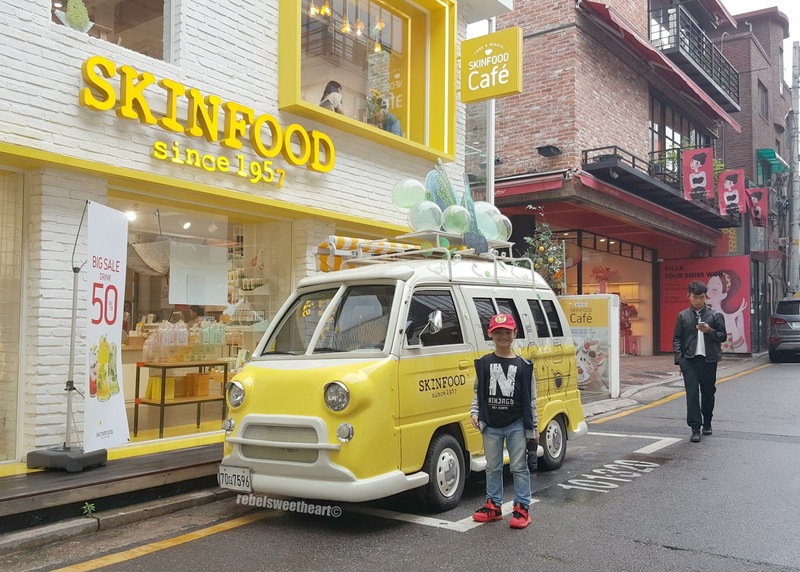 Gotta have a photo beside the SkinFood van! 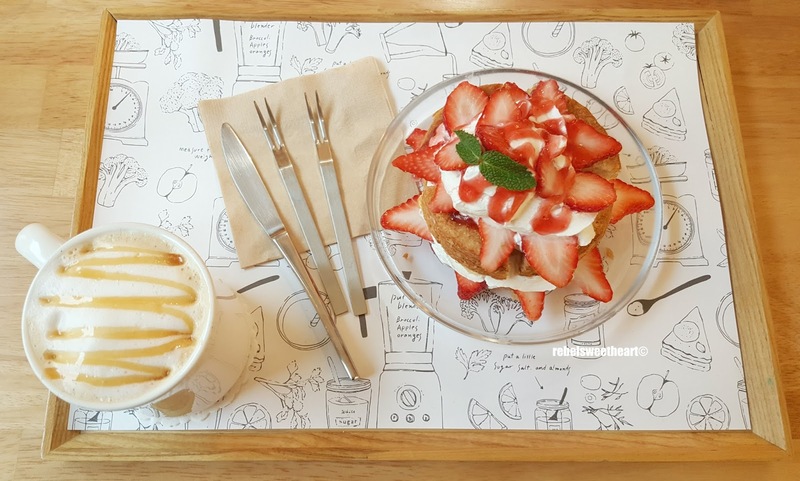 If you're into upscale shopping, quaint cafes, or simply want a breather from the crowded, touristy shopping destinations like Myeongdong, then Garosu-gil in Sinsa-dong is definitely worth a visit. All the more if you're into Korean cosmetics and skincare products, and have a thing for whimsical concept stores like me! To get to Garosu-gil, take the subway to Sinsa Station (Line 3), Exit 8. Go straight for about 250 meters until you see the street on the left. 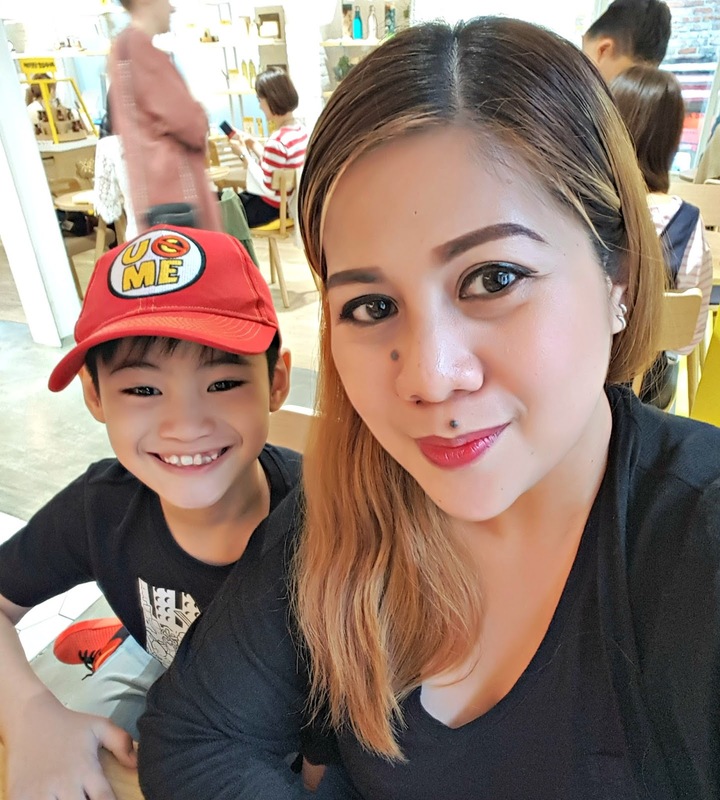 Seoul is really the best travel destination. I love the spots, the food, and the night market. 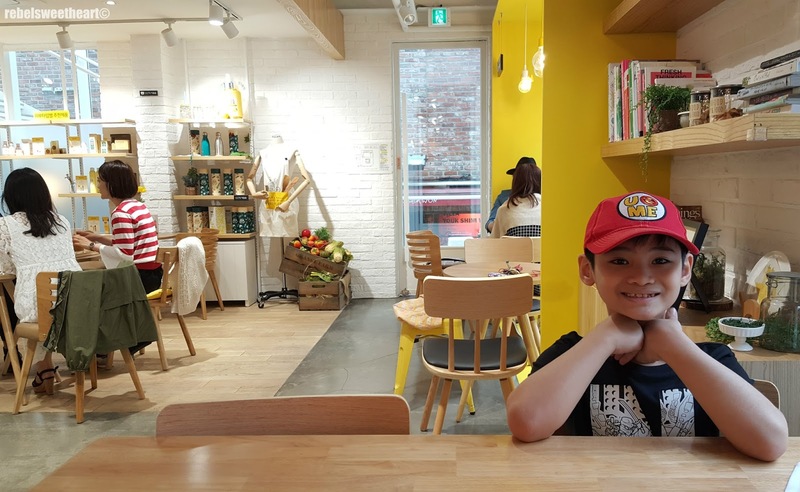 I really want to go to Seoul and if I'm given the chance to go to I'd stay there for weeks I would probably visit all the spots in Seoul out there including visits to another city. 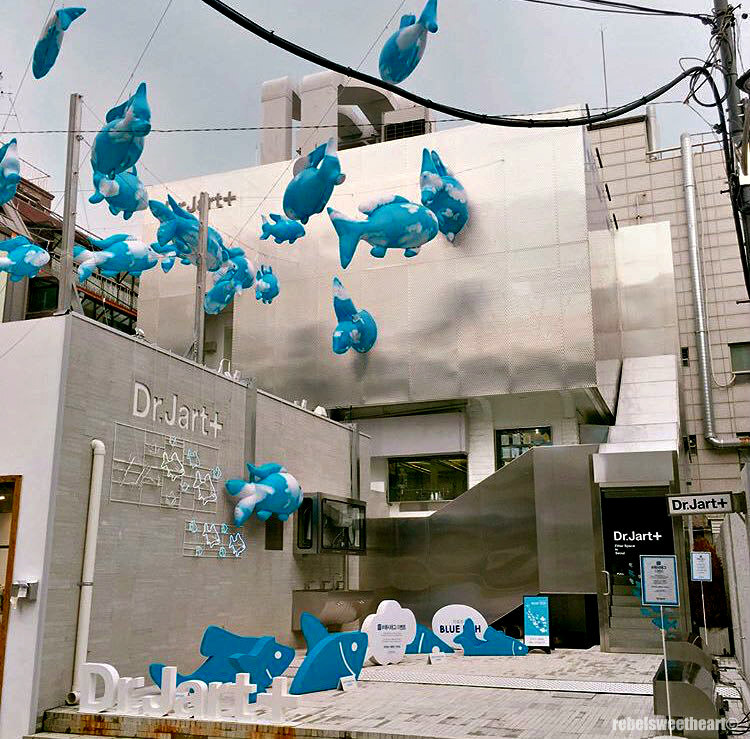 Your moments in seoul captured perfectly. 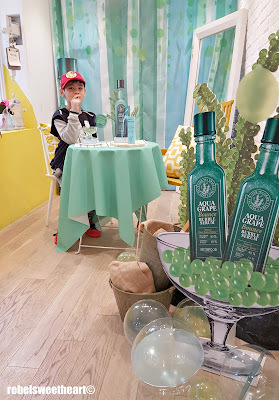 Looks like you really had fun in seoul. Looking forward to visiting Seoul. Waffle fries! What! How awesome is that? Id love to visit Korea eventually. Korea reminds me of Japan and how adorable everything looks! I think this place is lovely and I like the fact that it is less crowded. Oh! Such a beautiful place to visit. I've been there in Seoul last year and I really enjoy the beautiful scenery of the places. 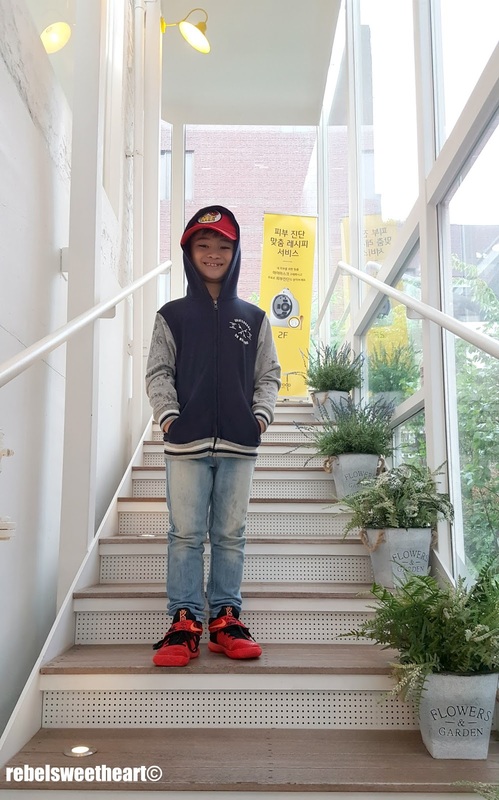 and it looks like that you had an amazing time in Seoul. I’ve never traveled to Korea. It looks beautiful. 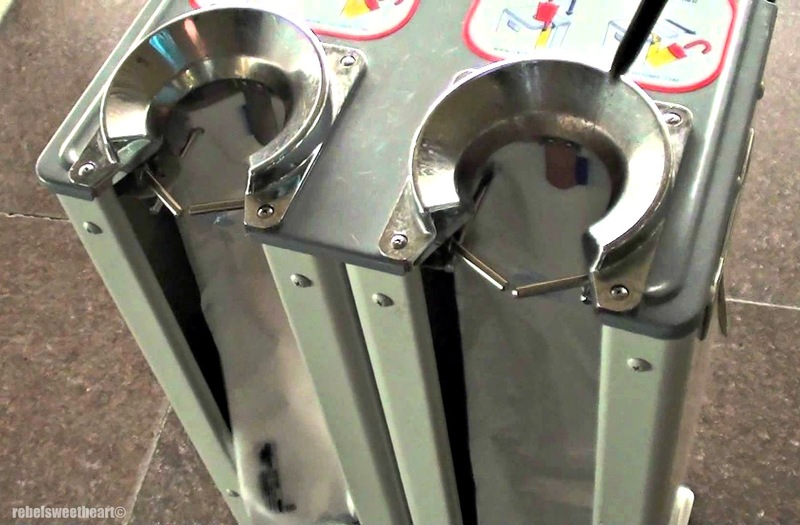 Very important question: are the waffle fries the only option at McDonalds there? As in, they don’t offer the “American” fries!? Looks like you guys had a great time! Pastry Doughnut sure looks like its worth the visit. 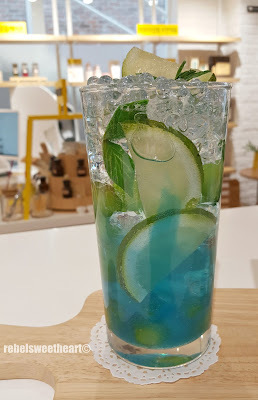 All those quaint shops, fun cafes, and colorful drinks look and sound so fun! 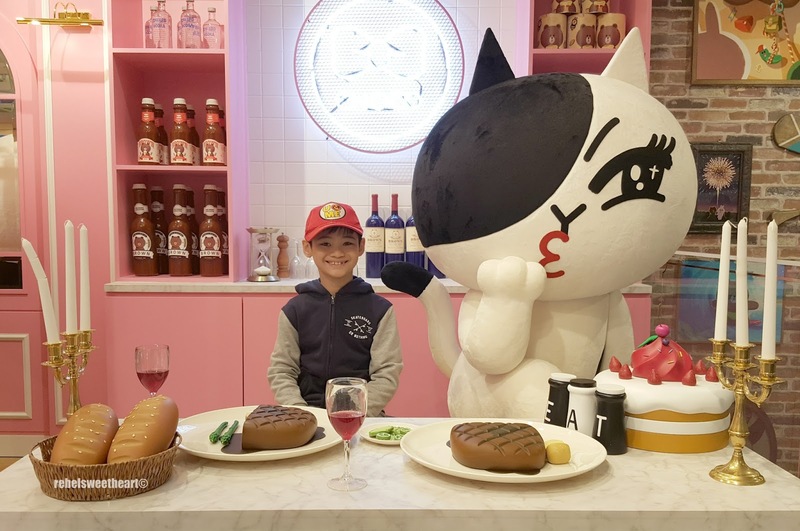 It would be such a fun place to take the family! Wow it looks like you had an incredible time! The umbrella condom is such a good invention I am loving that, and the pastry doughnut oh my god it looks mouth wateringly good!! Everything here looks like such an adventure! I love how vastly different all of the shops are from over her in the US. Even the McDonalds looks totally different. This looks like a nice place to visit. I love how different the Mcdonalds food is! 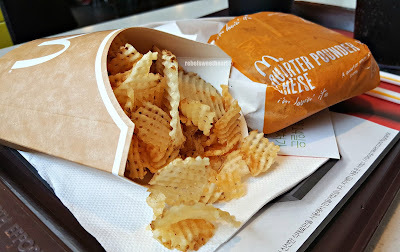 Waffle Fries, how cool is that!